This #30x30DirectWatercolor2018 challenge is great for using supplies sitting around my studio! 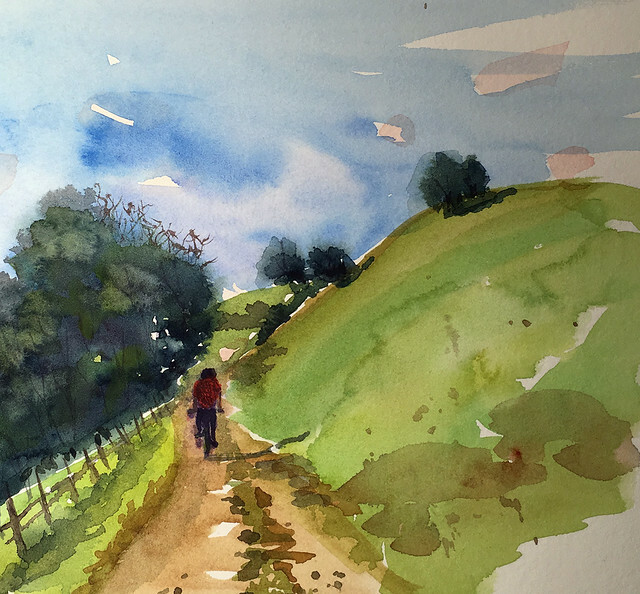 I dug up the paper samples I got at last year's Urban Sketchers Symposium and took them for a spin. 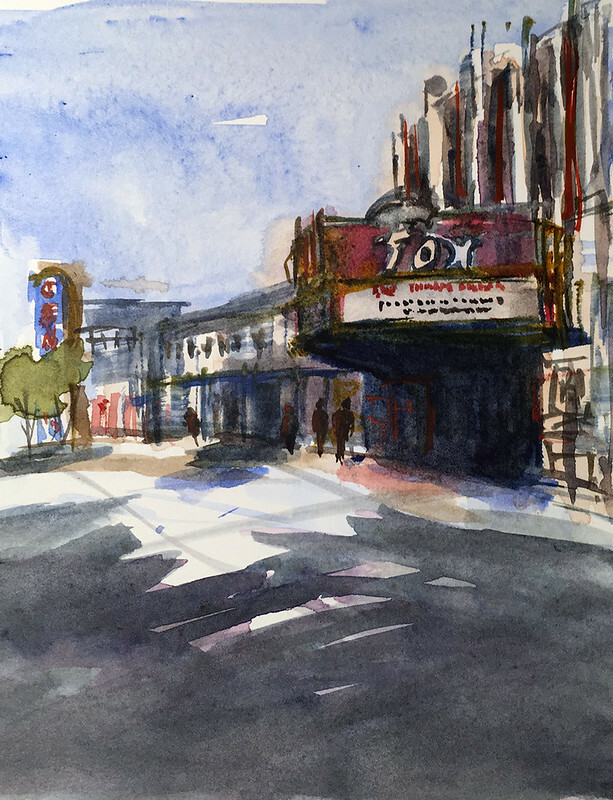 First up, the Fox Theatre in Redwood City, on a Hahnemuhle hot press sample sheet. 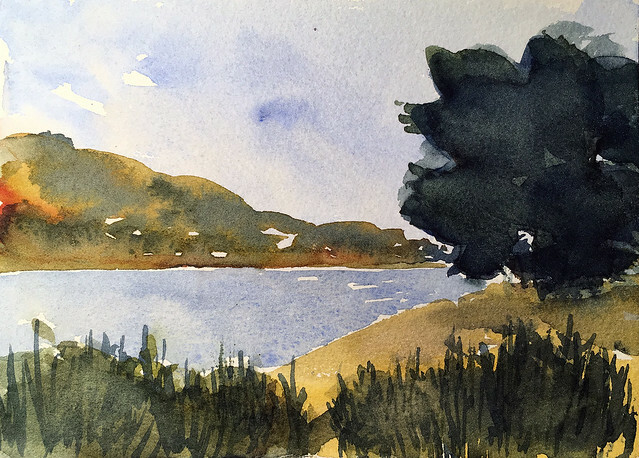 Hmm - tough to handle juicy direct watercolor on this surface, and it looks pilly. Next: A Winsor & Newton cold press sample. I may like this in a block or stretched and taped, but as is it feels rather lightweight.